It is our dedication to customer service that has made Extra Space Storage a leader in the industry for over 25 years. 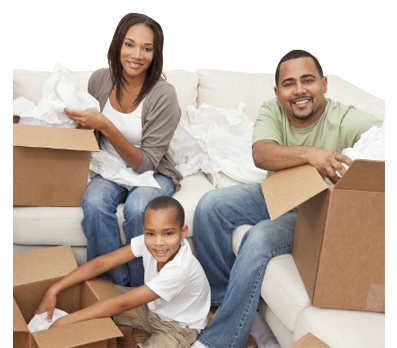 We are committed to being the most convenient, secure and professional storage solution in your neighborhood. 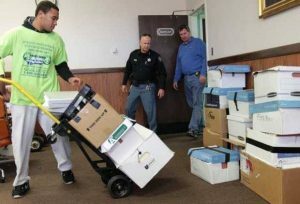 And it is this commitment which has allowed Extra Space Storage to become the second largest self-storage operator in the U.S. with over 900 properties across the country. With seven floors of clean, secure storage and the latest in hi-tech security equipment, SOMA Self-Storage is truly a nicer way to store. SOMA Self-Storage is dedicated to providing the highest quality customer service and taking care of all of your residential storage needs. Your peace of mind is important to us, that’s why at SOMA, we offer safe, secure records and business storage in climate controlled units. Need a package delivered to your storage unit? No problem, by using our address and your unit, you can rely on us to deliver your package straight to your self storage unit. 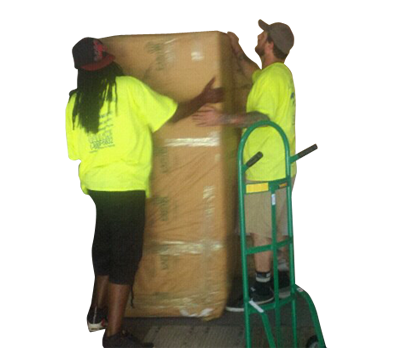 SOMA Self Storage provides a free moving truck when you rent a storage space. Call us today to reserve your storage unit and schedule your moving truck. 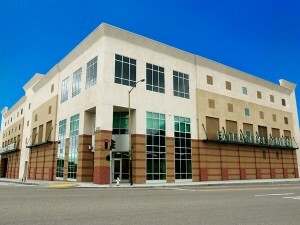 Your property will be more protected at SOMA Self-Storage than at your home or apartment. Our facility offers a 24-hour, state-of-the-art security system which includes: an enclosed building, required security code access for building access, egress, and elevator recall. Each unit is individually alarmed, and there are security cameras on each floor of the building. During gate hours, the alarms are monitored by our storage attendants. During the hours that the facility is closed, the unit alarms, as well as the fire alarms, are monitored by a bonded central monitoring bureau with instructions to contact the police or fire department to respond to any alarms. Only persons with an individual gate code have access to the facility during gate hours. All tenants must provide and have copied a valid picture identification card. You can also purchase property insurance at our facilities. Our customers can feel confident that they are entrusting their valuables to a safe and secure environment. Everyone knows that moving is not an easy task. That’s why we are committed to making your moving experience as painless as possible. We are the only storage facility in San Francisco with 16′ ceilings at the loading area for easy truck access, and easy drive-in, drive out, with completely enclosed parking. This allows for box trucks to deliver items, and also makes loading and unloading in the rain hassle-free. 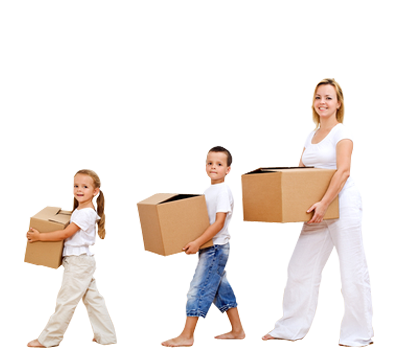 We also provide free use of our doilies, carts, and other various moving equipment for making moving in and out convenient. When our storage attendants are not assisting our customers and checking out alarms, they are cleaning driveways, hallways, storage units, roll up doors, the office, and bathrooms. Every day, our tenants are rating us for cleanliness and they can let us know how we are doing through our Owner’s Hotline or the quarterly cleanliness rating questionnaire. You will never be alone at SOMA Self-Storage. During the 12 hours a day our facility is open, there will be an employee working at the facility. An employee will always be available to accompany you to your storage unit. Our intercom system can be used to contact the office or the storage attendant. During office hours, family or friends may contact you on site, because our project is equipped with public address systems which are used to page you. If you are on site when the office is closed, we employ 2 full-time storage attendants who are available to assist you. At SOMA Self-Storage we offer both climate controlled and standard units, and a secure, well-lit, enclosed parking area. The basement level offers an excellent opportunity for wine storage. Our customers have access to their units from 7:00 AM to 7:00 PM, 7 days a week and our office hours are from 9:30 AM to 5:30 PM, also 7 days a week. Rising forty-three stories in the heart of SoMa, these San Francisco luxury apartment rentals offer a brilliant combination of location and elevation, putting the city’s most exciting new neighborhood at your door and breathtaking panoramas outside your window. This conveniently located San Francisco apartment building is just steps from Union Square and the Financial District. Ranging in size from studios to two-bedrooms, apartments at The Paramount feature gourmet granite kitchens, lavish Italian tiled baths, custom closets and a washer and dryer in every apartment. The impressive selection of amenities includes a business and internet lounge, entertainment lounge, health and fitness center with yoga room, bicycle storage room, rooftop sun terrace, outdoor terrace with BBQ grills and an outdoor swimming pool. 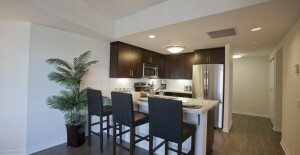 CARMEL RINCON LUXURY APARTMENTS :: HAPPY TO BE HOME™. 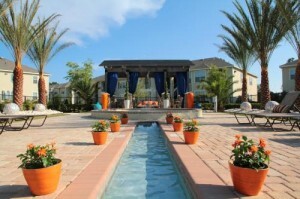 What makes Carmel Rincon Luxury Apartments a great place to live? We’re happy you asked. Our studio, one-bedroom and two-bedroom luxury apartments for rent in downtown San Francisco are designed for the ultimate in excellence and comfort. Due to the unique shape of Carmel Rincon, each apartment has a layout and a view unlike any other, including vistas of the North Bay, Financial District, Bay Bridge, Ferry Tower or South of Market. Another view and attraction in close proximity to our apartments in San Francisco, CA is The Embarcadero, which provides a variety of sights and shopping opportunities. Located within Rincon Center, the residents of our San Francisco apartments for rent have access to multiple restaurants, beauty salons and gift shops, as well as a post office, full-service market, dentist, optometrist, dry cleaner and more. 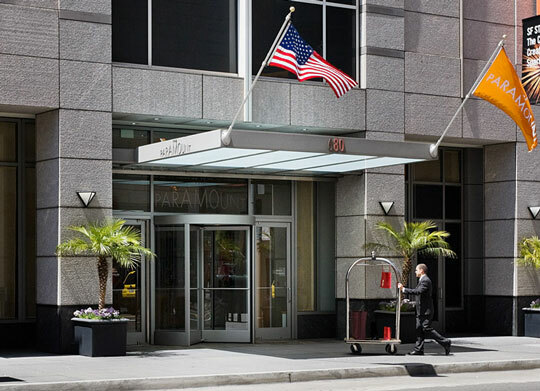 Centered around a beautiful courtyard, our luxury apartments in SF are just steps from Carmel Rincon. 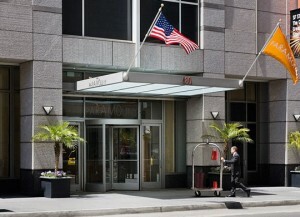 Come by or call our concierge desk for all of your personal and professional questions or needs. The helpful staff of our community of apartments in San Francisco is on-site and available for assisting you in the following services: transportation services, travel arrangements, catering for home & office, theme party/event planning, social events, gifts/care packages, pet services (grooming, walking, sitting), valet parking, dry cleaning services, salon treatments, reservation by request, personal shopping, home cleaning, child care services, floral arrangements, auto emergency services, tour guide assistance and monthly community/communication updates. If you’re contemplating where to live, San Francisco can’t be beat, and for SF apartments, Carmel Rincon provides a level of luxury that is simply unmatched in the downtown area. Luxury apartments in San Francisco await you! Come visit Carmel Rincon in person. We’ll be happy to show you around. San Jose is the third largest city in California and the Capital of Silicon Valley. 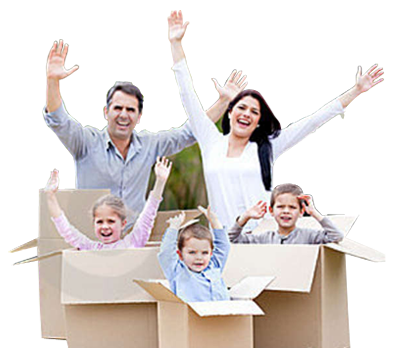 Central Self Storage is proud to serve in this community that strives to be family oriented, friendly and entertaining. Our San Jose self storage facility is conveniently located near the San Jose Mineta Airport off of Coleman Ave, next to the 880 Freeway. 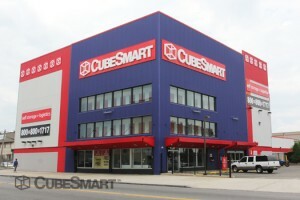 Come visit us and we will show you that we are the best for all of your storage needs. 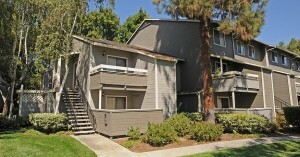 Great ground level units and free use of our moving truck! We would love to make your next storage experience the best ever! 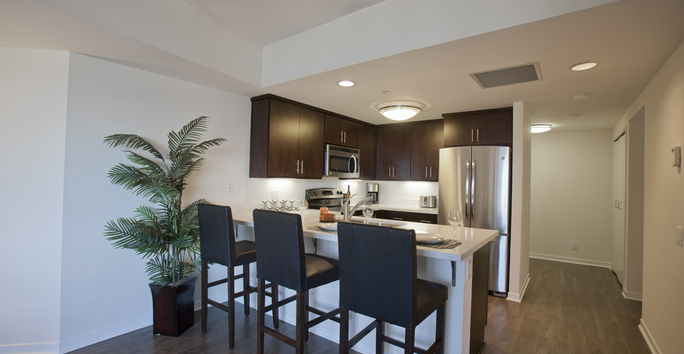 Welcome home to The Enclave Apartment Homes, located in gorgeous San Jose, California! At The Enclave Apartments you will find a community of distinction with flourishing neighborhoods, and a convenient location. Our community offers studio, one and two bedroom homes featuring built in closet shelving, ceiling fans, custom wood cabinetry, high ceilings, a washer/dryer and gourmet kitchens. In custom homes you may find a fireplace with a marble hearth, and spectacular views. Relax in luxury with our three heated pools or two soothing spas. We offer spectacular amenities like two lighted tennis courts, a gated entrance with controlled access, gated underground parking, a media center with a large screen TV, a concierge service including valet dry cleaning, and planned resident events. You will find a short walk to the light rail, social activities, aerobic classes and a jogging trail. Tour our photo gallery or call us to schedule your personal tour and let us show you why The Enclave is the perfect place to call home. 33 S. Third Apartments is designed to make downtown living not only a pleasure, but convenient too! With a variety of floorplans and features to meet today’s lifestyle needs, you’re certain to find the apartment home you have been looking for. Featuring granite kitchen counters, maple finished cabinetry, and berber carpet throughout! Enjoy time watching the courtyard fountain from your very own patio, or take a stroll to the local community theater playhouse. Perhaps you enjoy fine dining, you will not even have to leave the block! In our center courtyard you will find a media center, where each morning you can treat yourself to a complimentary latte / espresso, and read the paper with your new neighbors! Nestled in the heart of Silicon Valley, Villa Del Sol offers a blissful lifestyle from the inside, out. Each of our thoughtfully designed, pet-friendly apartment homes features private entry, patio or balcony, ceiling fan, washer and dryer connections, and expansive closet space. Our one, two and three bedroom homes also boast double-paned windows, modern GE appliances, additional onsite storage options, and dramatically vaulted ceilings in select units. Enjoy our outdoor hot tub, 24-hour fitness center and comfortably furnished business center. Urban commuters have easy access to Silicon Valley’s technology employers, as Villa Del Sol is a brief walk to Caltrain Station and minutes from all major freeways. Downtown Murphy Street and Sunnyvale Town Center flourish with a vast array of shopping and dining options. Our friendly staff is waiting to welcome you home– call us today to schedule a tour! 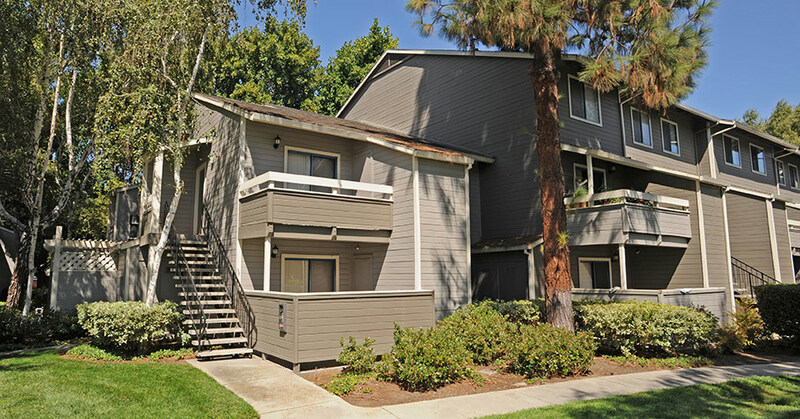 The lushly landscaped Briarwood Apartments in Sunnyvale, CA lets you live closer to nature while still in the heart of the Silicon Valley. Your commute’s a snap with easy access to major highways, Cal Train, and the Sunnyvale Town Center. Our newly renovated homes feature open kitchen layouts, new appliances, cabinets and countertops as well as walk-in closets, in-home washer/dryer and private patio/balcony with storage. Unwinding from the work week is a breeze hangout by the pool, take the kids to the playground and wrap it all up with a casual get-together in the picnic area. And now you can breathe easy because we’re making the move to smoke-free (and pet friendly!) living. 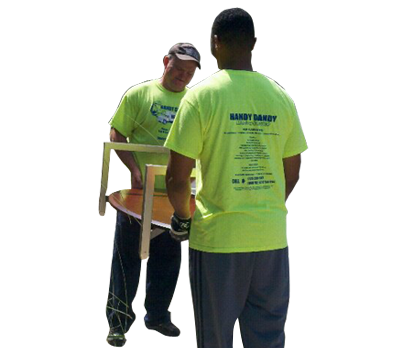 At Handy Lock Self Storage, we are in the business of providing peace of mind to our customers who have trusted us with the storage of their family heirlooms, household furnishings, business records, product inventory, and seasonally used equipment. Whether you need a place to park your boat when it’s not in use or you just want to clear a little extra space around the house, we have the storage solution you need. 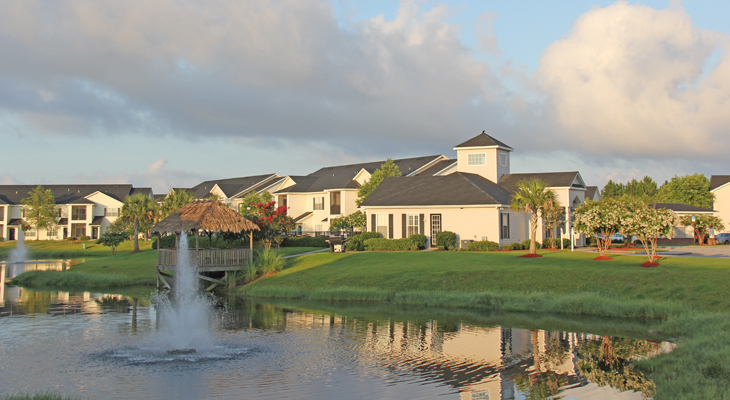 We pride ourselves on our state-of-the-art facilities throughout the coastal cities in Mississippi and Alabama, as well as our security systems, landscaping, and a wide spectrum of storage options; however, it is our resident managers at each location that truly set us apart. If you’re considering short, medium, or long-term storage, please call your local Handy Lock facility and speak to our resident manager; by all means, feel free to ask for a guided tour. You’ll find them knowledgeable, courteous, and truly dedicated to your well-being while you’re storing your valuables at one of our locations. 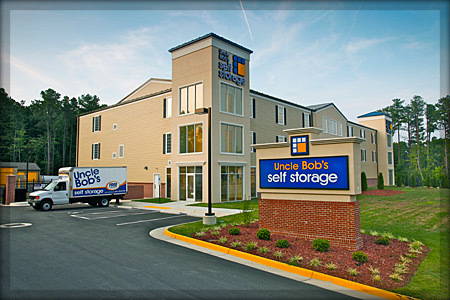 Uncle Bob’s offers a wide selection of storage units with a choice of both traditional and premium storage environments. When selecting the right storage space, it’s important to consider more than just the size. Base your final decision on the types of items you are storing and how long you will need to store them. Pet friendly up to 35 lbs with breed restrictions and non-refundable pet fee. Landmark Real Estate Management is a real estate management company specializing in the operation of multi-family communities. The organization was created in 1996 with an emphasis on providing its clients, residents, and employees, with a management style of team work to create communities where everyone would be proud to call their home. Grand Slam Storage is Mobile Alabama’s newest all-climate multi-level storage facility! We feature moving van accessibility, extended access hours, video monitoring, packing supplies onsite and more. 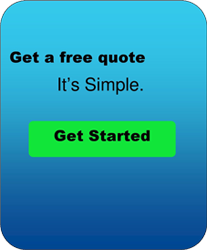 Our goal is to provide you with a full range of clean, units at an affordable price. We offer climate controlled units with great access features and digital monitoring with a prime location near all areas of Mobile, AL. We strive to make your life easier by helping you move efficiently while providing you with our award-winning customer service with the friendliest staff in town. We are here to take care of your personal and commercial storage needs. With over 440 self-storage units, you’re sure to find a space for your household furniture, business inventory, files and more. 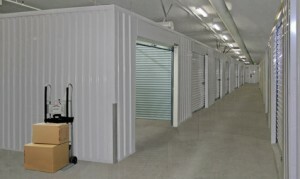 Climate controlled units and standard storage units range from 5×5 up to 10×20. Contact us for unit availability. Grand Slam Storage is a proud member of the Alabama Self-Storage Association, Self-Storage Association (SSA), Mobile Bay Area Apartment Association and Mobile Chamber of Commerce. Grand Slam Storage in Mobile, AL has also partnered with USA Storage in Mobile, AL to provide an additional location to serve your storage needs. Please visit either of these locations for Mobile’s Best Storage solutions! CubeSmart (NYSE: CUBE) is a self-administered and self-managed real estate company focused on the ownership, operation, acquisition and development of self storage facilities in the United States. Our self storage facilities are designed to offer affordable, easily accessible storage space for residential and commercial customers. As a national owner and operator, we continually enhance our business by applying our management expertise and best practices to each facility. 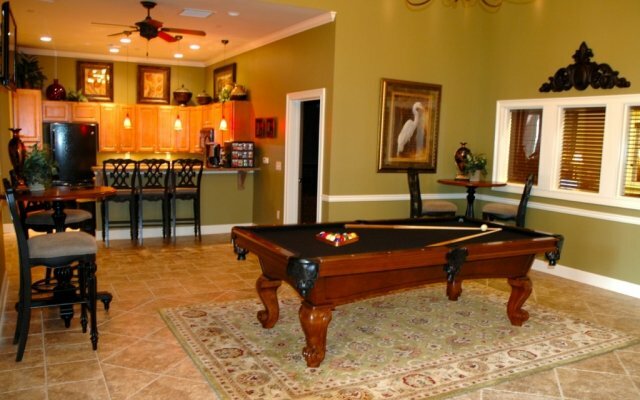 Cypress Cove Apartment Homes offer the ultimate luxury lifestyle in Mobile, AL. 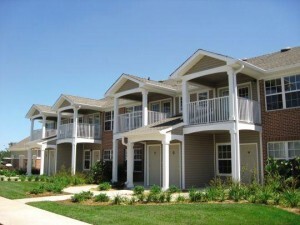 Set back off Schillinger Road in West Mobile, you will find your apartment home will become your oasis. As a member of the community you are entitled to enjoy relaxing at the gorgeous pool with wading ledge, fountains and expansive sun deck or catch a movie with friends in the theater room. Noah’s Ark Self Storage owns and operates seven secure storage facilities throughout Texas and Florida. Whether you’re looking to store a boat or RV, or you need a place to keep excess inventory, visit one of our public storage locations near you to find a storage unit at an affordable price. 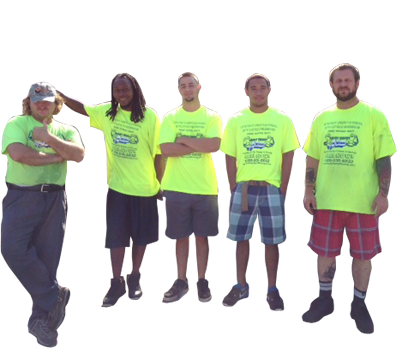 Let our courteous staff help you find the right self storage solution for your personal or commercial today! We serve the communities of Buda, Bulverde and San Antonio, TX as well as Pensacola, Orlando and Apopka, FL with affordable public self storage. Our state-of-the-art facilities offer a wide range of mini storage options, including climate controlled units, regular spaces with drive-up access, and parking for boats, cars and RVs. 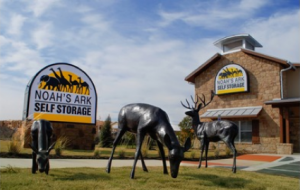 If you’re looking for affordable options with a clean atmosphere and a friendly staff, stop by the Noah’s Ark Self Storage location nearest you. Call us today, and be sure to ask about the facility’s specials on units for new renters – we look forward to serving you soon! Out O’ Space Storage properties are professionally managed self storage facilities in the Pensacola region, that strives to exceed customer expectations. 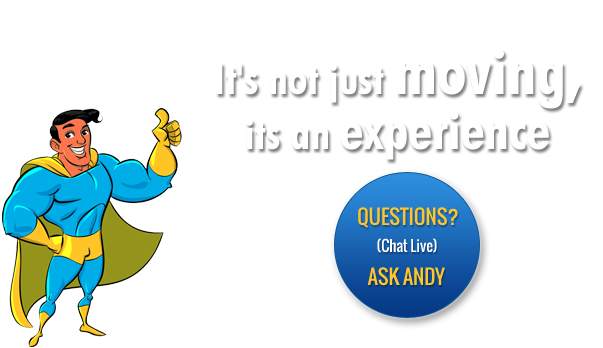 Our store managers and consultants are available for guidance with your storage and moving needs. Your goods and valuables are stored in a clean, safe, climate and non-climate controlled environment, and we work with you to select the size storage unit and type that fits your needs. Our Pensacola locations are convenient and we are a one-stop facility for all packing and storage needs. 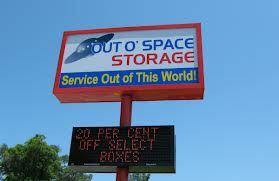 To simplify the problems of moving and storage, come visit us at Out O’ Space Storage. 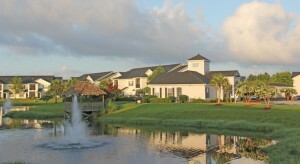 Governors Gate Apartments in Pensacola, Florida offers first-class living at home. Located thirty minutes from the crystal white sands of Pensacola Beach, our community is conveniently positioned for whatever your commute may be. For convenience, quality and personal service, Governors Gate is the premier choice of those seeking a comfortable, relaxed lifestyle with fantastic amenities. Contact us today for a tour of the grounds and apartments we have to offer. Fairfield Lakes Apartments in Pensacola offers a wide range of community amenities and apartment features to fit the way you want to live. Choose from spacious 1, 2, and 3 bedroom apartment homes with many custom home features such as crown molding, stylish kitchens, and over-sized tubs. You can expect unsurpassed amenities that will delight your senses. Spend the day at our shimmering pool or work up a sweat in the fitness center. Designed for the discerning renter, we offer all of the comforts of home, with the amenities of resort-style living. Our Luxury apartments are unparalleled in West Pensacola apartment living. 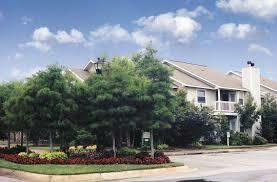 Fairfield Lakes Apartments invites you home. Browse our many amenities below and call us today at 850-458-4955 to schedule your tour and experience Fairfield Lakes Apartments for yourself! Brand New Foley Community. Come Be a Part of the Excitement! Alison Pointe presents exquisitely designed one, two and three bedroom apartment homes located only minutes from downtown, great restaurants, exciting entertainment, endless shopping, recreational facilities and the white sand beaches of the Gulf Coast. Just minutes away, who could ask for more! South Pointe is a luxurious refuge nestled in a private meadow where tranquil country breezes often filter through the landscape. 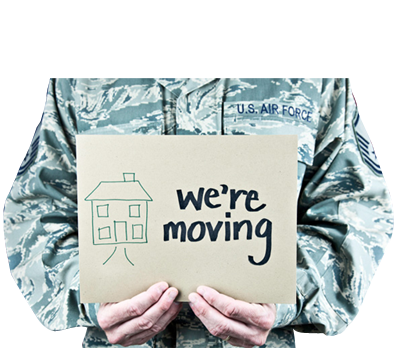 Whether you’re moving, want to free up more space at home or at the office, or just need a place to keep things for a while, we can help. We’ve got the professional, affordable solution. 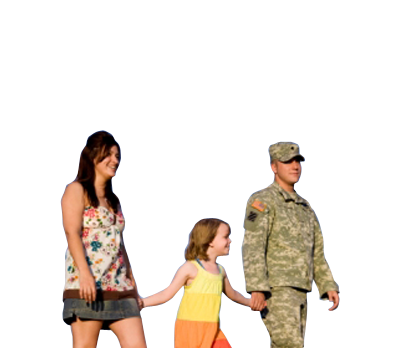 At Airport Safe Storage, we provide convenient self storage solutions. With a wide range of units, we’ve got the right size for all your storage needs. Our focus on security will put you at ease, while our rates will keep you happy. 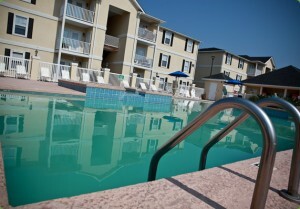 Located in Gulf Shores, Alabama, Sweetwater Apartments is an established community of luxury apartment homes. Here we offer one, two, and three bedroom floor plans featuring nine foot ceilings, open concept living, huge closets, and private screened in porches. The views, amenities, and location combined with spacious floor plans create an environment where you can relax while having entertainment, shopping, and dining just minutes away. Call today and discover all that Sweetwater Apartments has to offer!